Just bought my first blazer a few days ago and theres no much done to it. its a 1998 pretty much stock. So just how good is it off road compared to other vehicles? was it worth it? If you have the G80 rear end, you'll be better off. It's capable, but not extremes. My '91 doesn't like any type of slick terrain. Even with brand new All Terrain tires. No locking rear end, and no locking front. uh. u shoulda asked this before u bought it lol. there are upgrades,but stock,eh you'll be ok. you need to look into upgrades etc. You can get anything stuck if you don't know what you're doing! The two biggest drawbacks, IMHO, is the lack of aftermarket support, and the ifs/ground clearance. You can't easily/cheaply get much lift with the stock front suspension. Go too high on the front, and it starts jacking up the steering geometry, cv angles, ect. And you need plenty of lift! These trucks seem like they sit so low! There are some aftermarket automatic lockers you can get, I've never personally had one, but I've heard mixed reviews about their on-road manners. Probably the best thing you can do to make it better off road, is to make yourself a better off-road driver! I'm still working on that part, too, so don't feel bad. Congratulations with your first blazer. The bad thing here is that you don't know how good it is when it comes to off road before buying it. It is important to know the capacity of your blazer before buying it. Anyway, some of my friends says that it is good. thanks for the response everyone. 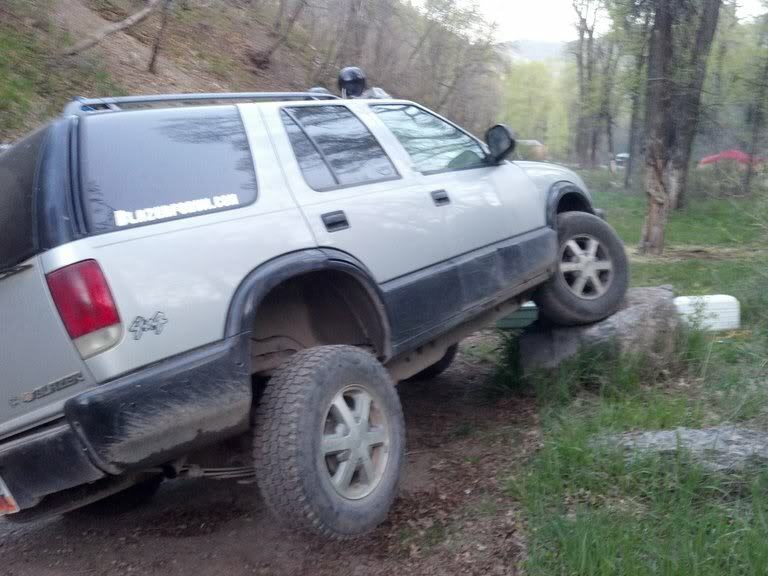 i looked into getting a rough country lift kit. it'll only give me 2.5" of lift but its the only one i can afford. ill put it on in the next few weeks and post before and after photos for everyone. My off-oading is basically beach driving and have only been stuck 1 time and that was because I did not let enough air out of the tires. The best thing to do is just wheel smart, if it looks bad it probably is. Also, go prepared so if you do get stuck you have to tools to help yourself. I was very surprised how much I could do with sagging springs all around with my G80 and ATs. I did this every chance I got. Low ground clearance and street tires are going to be the Achilles heel of any stock vehicle off road. As you can tell these things are pretty low in factory form. Stock for stock they're probably just as capable as any other SUV on the road. That being said my jeep buddies were always impressed how capable my old Jimmy was. It only had shackles / t-bar crank and good rubber. I did invest in a set of skid plates after a few trips out in the woods. Like said, wheeling smart makes all the difference. P1886: new solenoids, good grounds, good volt @ fuse, help! good tire for a good price? 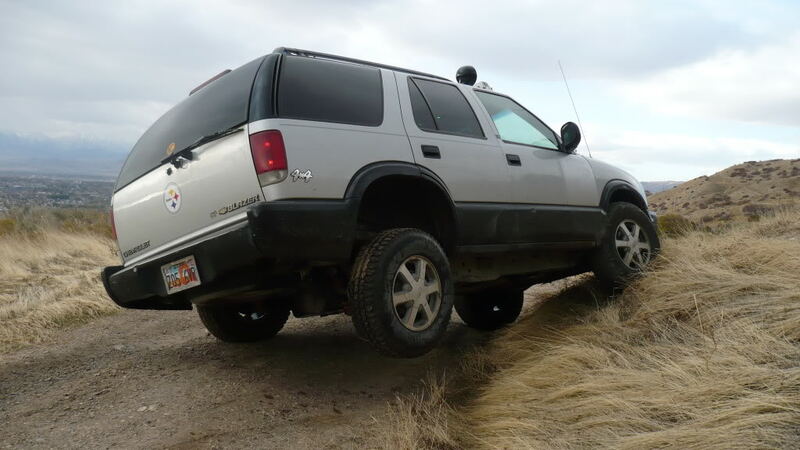 2001 Blazer starting problem, good battery, good alternator. Quick Reply: How Good Is It?